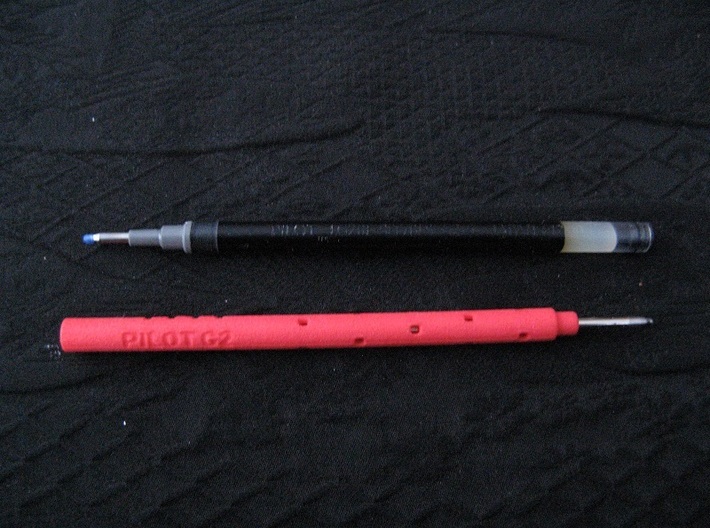 I present my pen refill adapter, for use in pens that take the Pilot G2 gel refill. 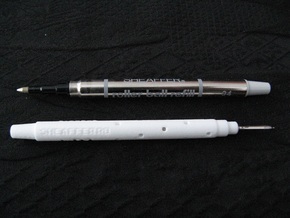 It allows such pens to use the Mini/Multi D1 refills instead (not included). 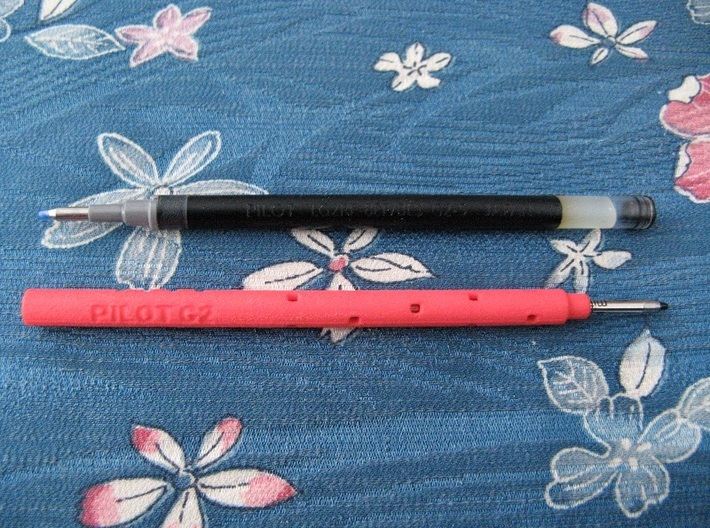 The Pilot G2 refill is around 110mm long and 6.2mm in diameter. 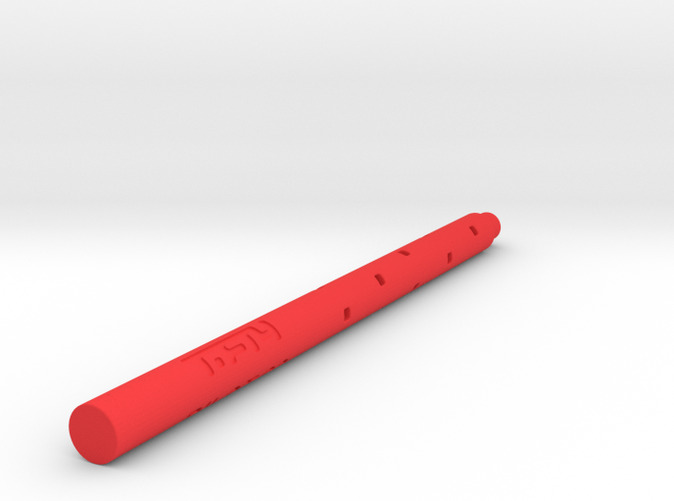 The D1 refill is around 67mm long and 2.3mm in diameter. 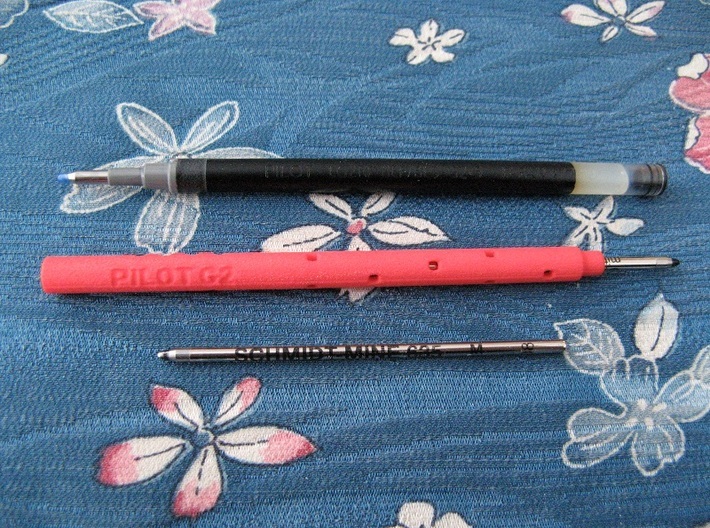 I appreciate that the D1 refill is generally a less practical refill, compared to the Pilot G2, in terms of ink volume and probably manufacturer diversity, considering that the popular Euro Rollerball refill is close enough in size to often be interchangeable with the Pilot G2 refill. 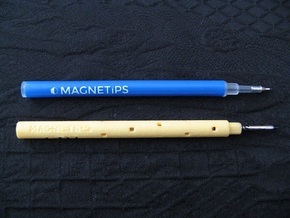 However the adapter can hopefully still provide flexibility, between your favourite pens and refills. 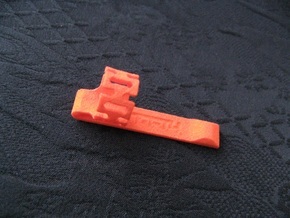 The adapter needs to be printed in the polished white or coloured plastics, as the smooth polished finish is functionally desirable. 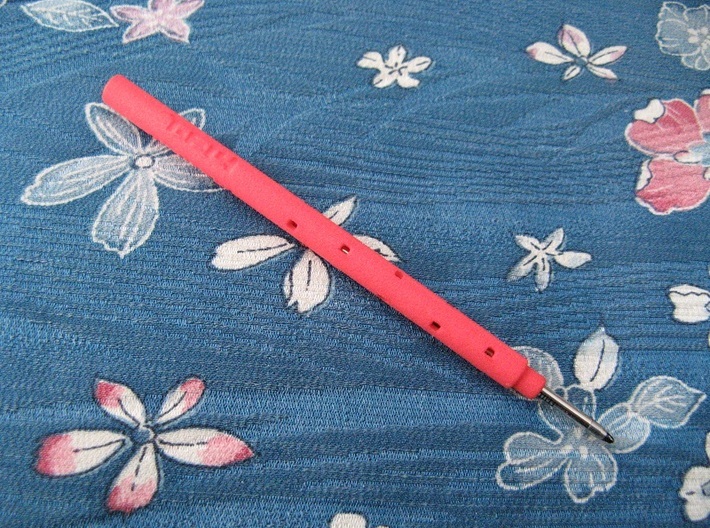 The D1 refill is held in place, by the adapter, using friction. 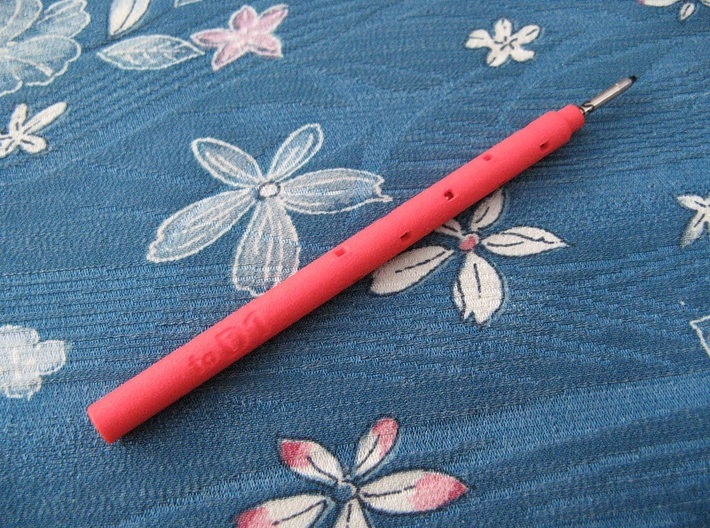 The holes around the side of the adapter are present to help with the removal of unbonded plastic powder from the core, when being polished. 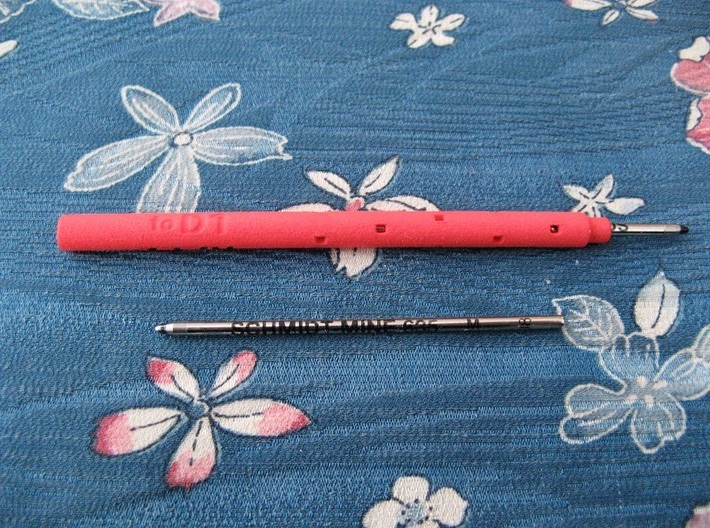 However, some powder may still need to be removed, with a pin or thin metal rod, before inserting the refill.